Unlock your home’s purchasing power. 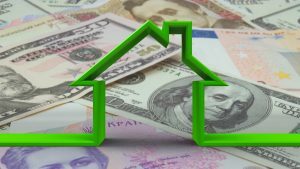 If you have built up equity in your home, you can use it as collateral for loans and lines of credit that you can use for almost anything you want including debt consolidation, education, medical bills or home improvement. A home equity loan, sometimes called a term loan, is a one-time lump sum that is paid off over a set amount of time. We offer flexible repayment terms with fixed or variable interest rates. HELOCs are variable rate credit lines that work like credit cards but typically with lower interest rates. You are allowed to borrow up to a maximum amount for the life of the loan. As you pay off the principal, your credit revolves and you can use it again. Confused about what takes place when you’re buying a home? Learn how the whole process works from start to finish. Here’s the documentation we’ll need from you to process your loan. Use our assortment of calculators to determine the best way to finance your loans. Credit reports may affect your loan rates. Federal law allows you to get a free credit report every 12 months from each credit reporting company. Download yours today to make sure it’s accurate and to look for any signs of identity theft. Find definitions to common terms used in relation to mortgage loans. Manage your account from anywhere Internet is available. Do your banking on the go with our CSB Mobile app. Check your balance with a simple text message. Get email and text messages when payments are due.